1. New bmw key programmer is specially designed for BMW keys, and is easy operating. 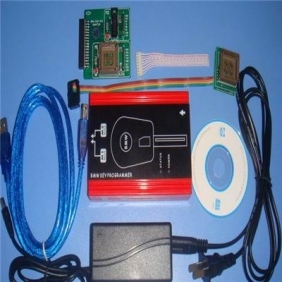 With this programmer, all lost or stolen keys can be replaced with newprogrammed keys. 3. Support on all the BMW with EWSfrom the year 1994 to 2004 equipped with EWS module (including EWS2, EWS3 and EWS4, Rover75, MINI, Range Rover, Free Lander, Discovery). 4. Only using normal chip can provide the efficaciously maintenance of broken keys of BMW. 5. Read EWS Data via K line. 6. This is a safe, credible product and has its own perennial maintenance. - Support MCU type: 0D46J, 1D47J, 2D47J, 2D47J (encrypted). - Safe for reading data from the EWS (encrypted). Attention: please leave your telephone number for shipping arrival when you make payment for this product on our website. If customer comes from Brazil, please tell us your CPF number .